Tiger Woods wasted no time invading New York. On the prowl for a new home, Woods has laid his hat in Manhattan. 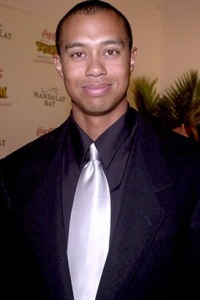 According to a source via UsMagazine.com, freshly divorced Tiger Woods has moved into a swanky new apartment. So, where is the world’s most famous PGA golfer setting up residence? None other than the Big Apple itself — New York. Allegedly Woods’ happening new hang-out is perfectly situated in downtown Manhattan. Tiger Woods’ not-so-humble abode comes right on the heels of the sports icon’s divorce to Elin Nordegren. The couple finalized their divorce August 23, 2010, after last year’s infidelity admission on the golfer’s part. Tiger Woods and Elin Nordegren were married for close to six years and share two kids, daughter Sam, 3, and son Charlie, 18 months. Divorce settlement details have been kept close to the couple but the public was made aware of their shared parenting responsibilities. While Woods is off in the city that never sleeps, Elin Nordegren will allegedly be celebrating her freedom in the former family’s Orlando home and in her homeland of Sweden. Oh, to be a fly on the wall at Tiger Woods’ housewarming shindig. Wonder what the guest list will look like?